Gone are the days when you need to own a dedicated gaming console or a high end PC/laptop for enjoying gaming. Smartphones these days are powerful enough to recreate console level graphical performance for gaming on the go. We take a look at some of smartphones which can easily replace your PSP or PS Vita by providing excellent gaming performance. The Apple iPhone seems to be on the forefront of mobile gaming ever since it launched. Apple is said to have revolutionised mobile gaming with some unique features such as social multiplayer gaming, dedicated online store, excellent gaming titles and plethora of gaming accessories. The iPhone 5S is no exception. It comes with a blazing fast A7 chipset which brings unheard of gaming performance on mobile devices, thanks to its new ARM v8 architecture and new Rogue graphics from Imagination technologies. Although the GPU (PowerVR GC6430) is not as powerful as the Adreno 330 in raw performance, the iPhone 5S is ranked above others due to exclusive gaming titles such as Infinity Blade & Call Of Duty:Strike Team. The Apple iPhone 5S price is around INR 53,500 in India for the 16 GB variant. The Sony Xperia Z1 was one of the most awaited smartphones of 2013 due to its slim body, water proof design and an exceptional 20.7 MP camera. But we can’t forget that is comes with one of the fastest processor in smartphones these days; Qualcomm Snapdragon 800. It has 4 Krait 400 CPU cores running at 2.2 GHz along with 2 GB of LP-DDR3 RAM. There is also a new Adreno 330 GPU which is almost 50% better than previous GPU (Adreno 320). Other than raw performance possibilities, Google has launched the Google Play Games service that mimics the features from Apple Game Centre such as real-time multiplayer gaming, social challenges and friend recommendations. The Nokia Lumia 1520 has been officially announced but isn’t available in the market yet. But going by how optimised Windows Phone is in usage of hardware, we can know that it would be one of the best performers with its insanely fast Qualcomm Snapdragon 800 chipset. When it comes to gaming titles, big name gaming studios such as EA and Gameloft have promised to port all of their existing titles on other platforms to Windows Phone Store. As Microsoft has their own gaming studio, games like Halo Spartan Assault will be exclusive titles on this platform. There are also rumours that Microsoft is working on their own cloud gaming & game streaming service which will allow Xbox One games streamable to Windows Phone. Apart from all these gaming specific features, the Nokia Lumia 1520 also features a large 6 inch full HD IPS LCD display which further improves the gaming experience of this device. The Samsung Galaxy Note 3 comes with guts that includes either Qualcomm Snapdragon 800 or Samsung’s own Exynos Octa 5420. Both these chipsets are equally powerful. The Exynos 5420 comes with 4 ARM Cortex A15 CPU cores along with 4 ARM Cortex A7 CPU cores and LP-DDR3 RAM. The Mali-T628MP6 GPU is not as powerful as Adreno 330 but in actual performance, a lot of people won’t notice any visible difference. Thanks to relatively newer version of Android, v4.3 JellyBean, it gets a lot of gaming performance optimisations as well as all the high end games on Android such as Dead Trigger 2, Riptide 2, N.O.V.A 4 and many more. The Xiaomi Mi3 is a high end Android smartphone with fast performance thanks to Nvidia Tegra 4 processor. It also comes in a version that is equipped with Qualcomm Snapdragon 800 (MSM8974AB) chipset which is higher clocked than other competitors so it is relatively slightly faster than others. 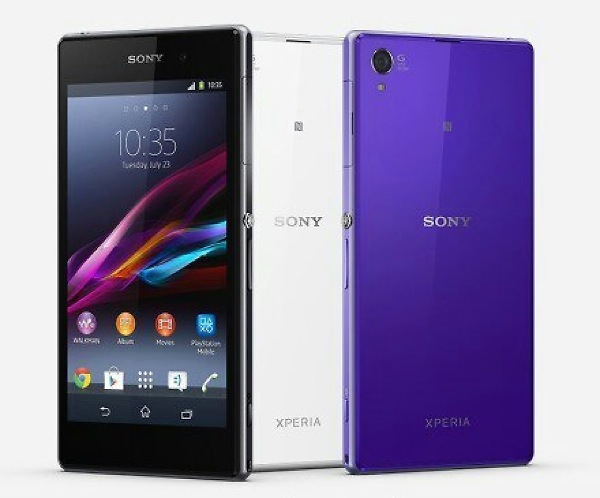 It comes with a large 5 inch full HD PS LCD screen with a pixel density of 441 PPI. There is also 2 GB of RAM and 64 GB of internal space, which means you can install a lot of games as well as multitask efficiently. Thanks to Android 4.2.1 JellyBean, it gets all the gaming features on Android as well as wide range of gaming accessories like MOGA controller for better gaming experience. It also comes with wired and wireless screen mirroring technology with the use of MHL and Miracast. BlackBerry 10.2.1 build to support Google Play Store?